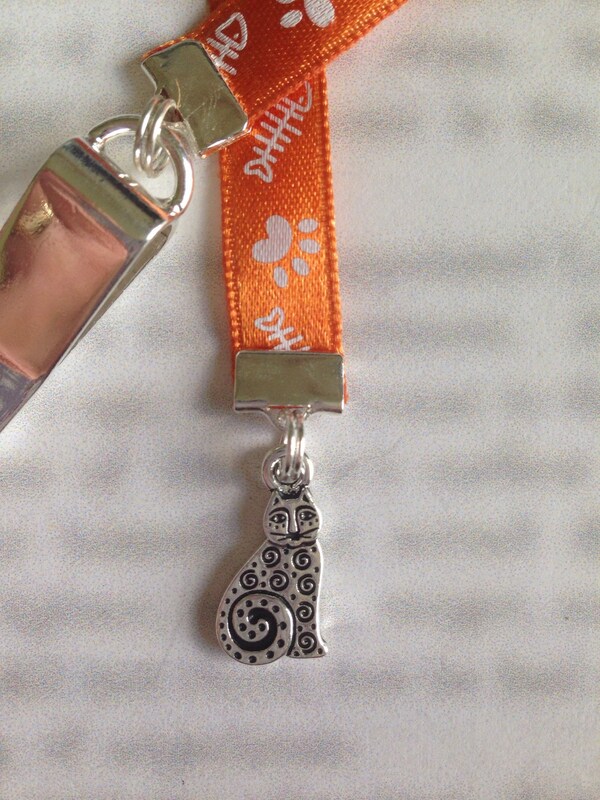 Cat Bookmark / Cute Bookmark *FREE SHIPPING* - Attach clip to book cover then mark page with ribbon. 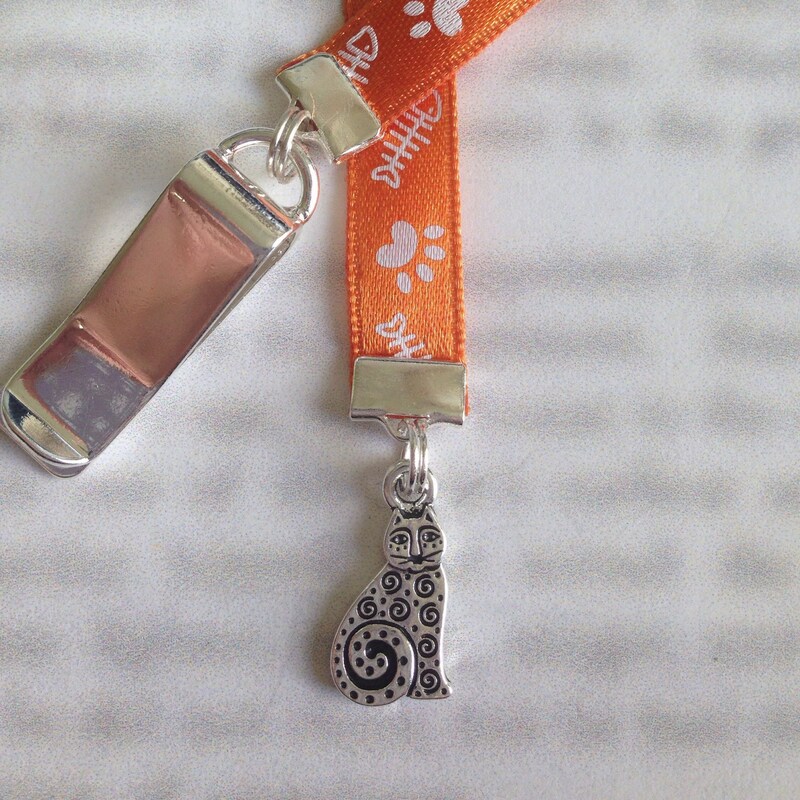 Never lose your cute bookmark! 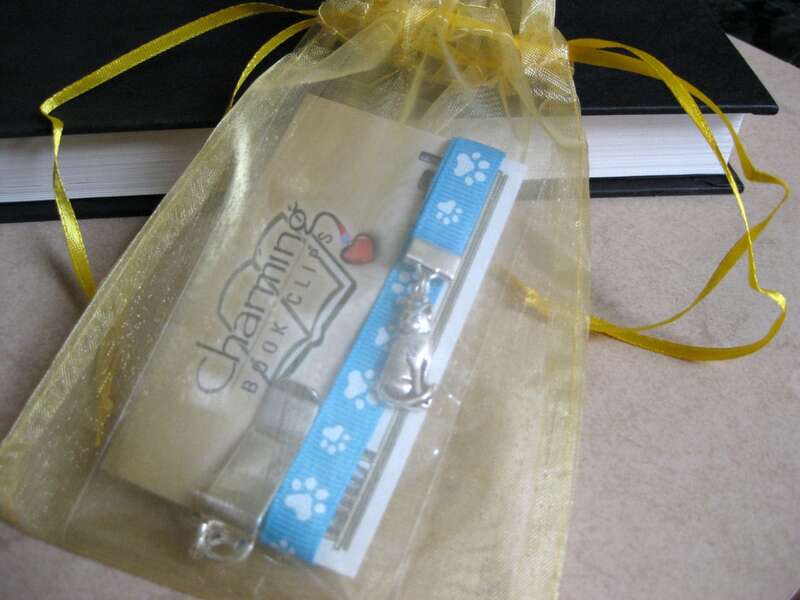 Cat bookmark by Charming Book Clips. 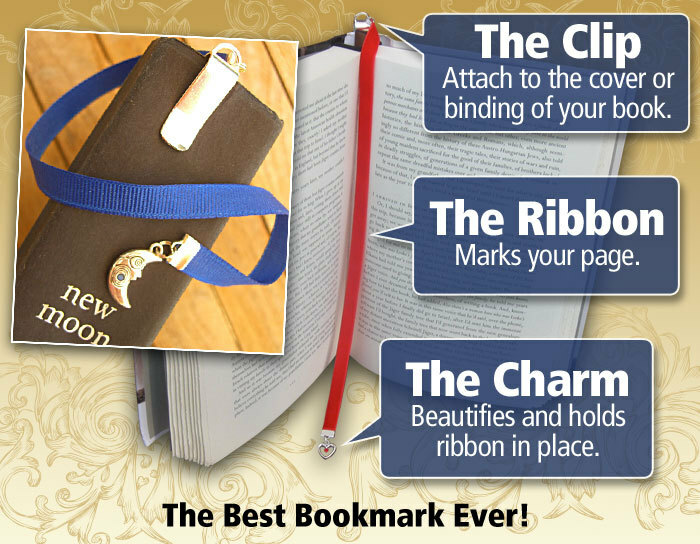 This fun and patented design features a silver plated clip that attaches to your book so you never lose your cute bookmark. Just slide the clip onto the cover of a paperback or the binding of a hardcover when you start your book, then mark the page with the ribbon. For the feline lover a stylish silhouette of your favorite pet in genuine silver plated pewter. 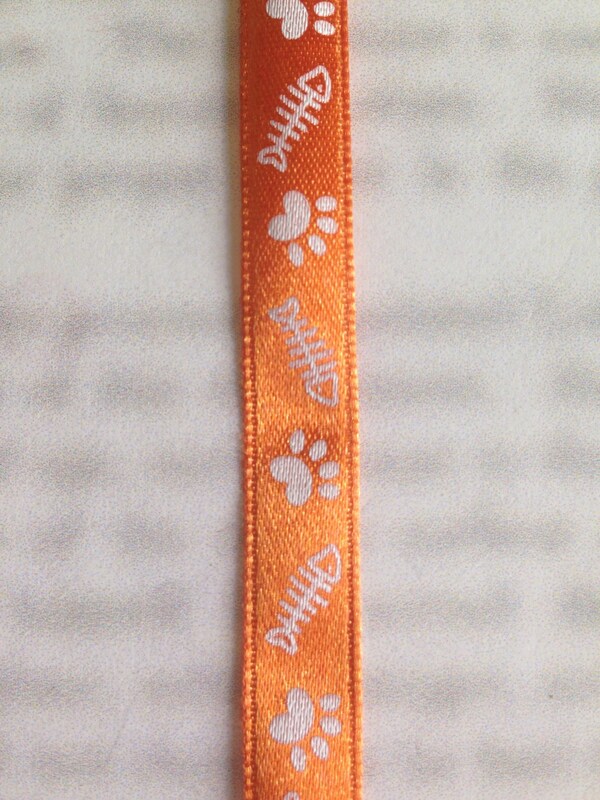 The complementing ribbon is a colorful orange satin with playful white paw prints and fish bones. 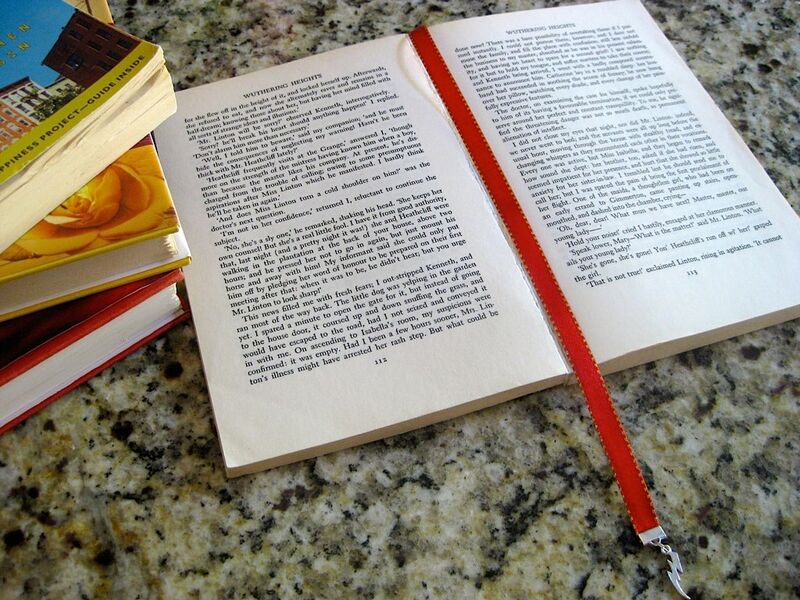 Ribbon is approximately 12” in length to accommodate various book sizes or you can customize your length. Love, Love, Love this seller and this bookmark. 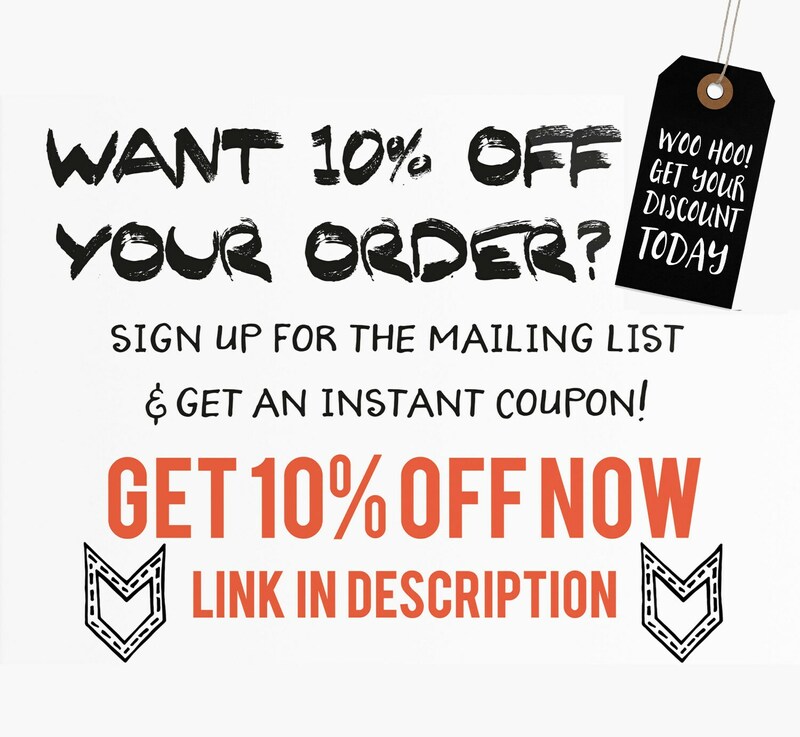 I was having an issue with too much overhang on the one bookmark that I had purchased (an OCD thing) and this seller took the time to figure out just what I needed, sent me a proto type and it worked so I ordered my cat. Next will be the cupcake. Seller goes out of her way to please and that's one reason why I keep coming back for more.